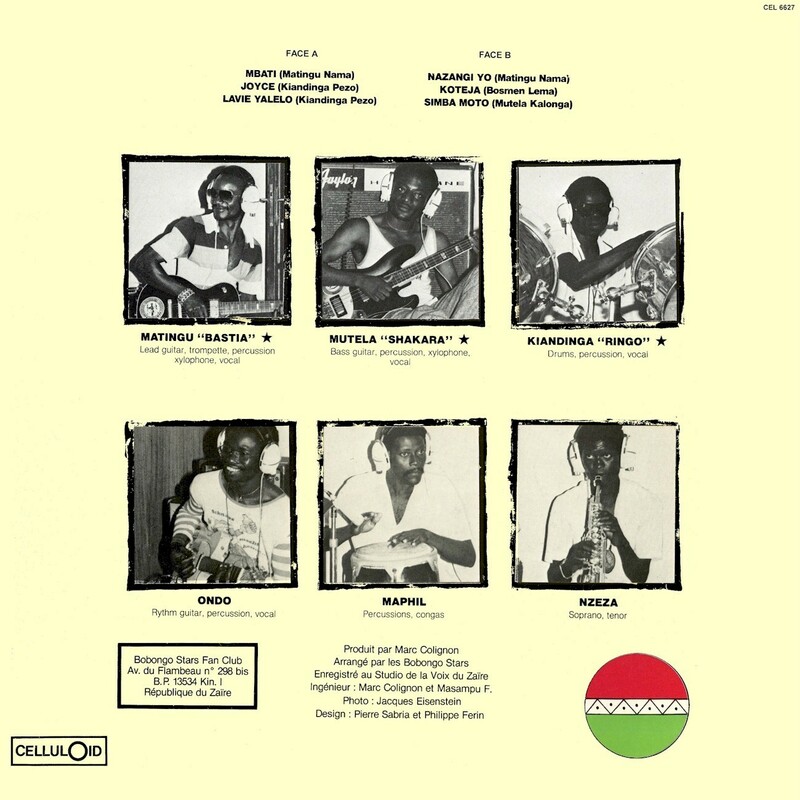 I've been unable to find out much about Congo's Bobongo Stars, but their unique blend of funk, rock & roll, Soukous and Mutuashi made them stand out in the crowded '80s Kinshasa music scene. 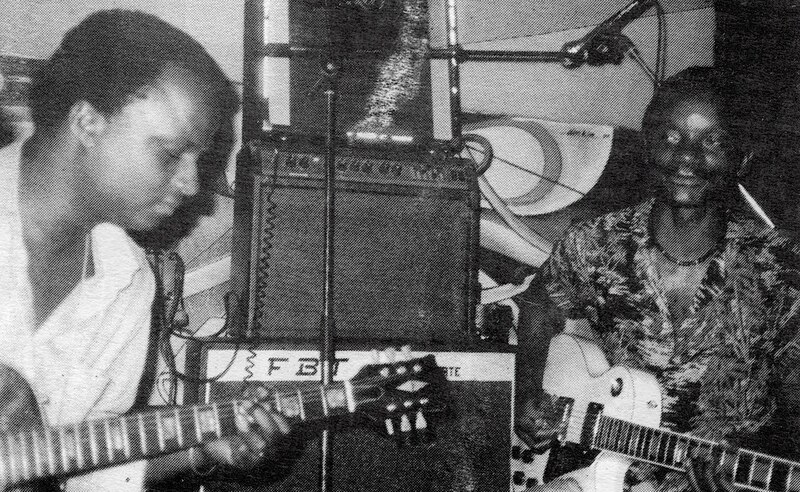 They had their own night club, made commercial jingles, played backup for the Angolan singer Diana, and achieved a measure of renown in Europe before fading from sight. 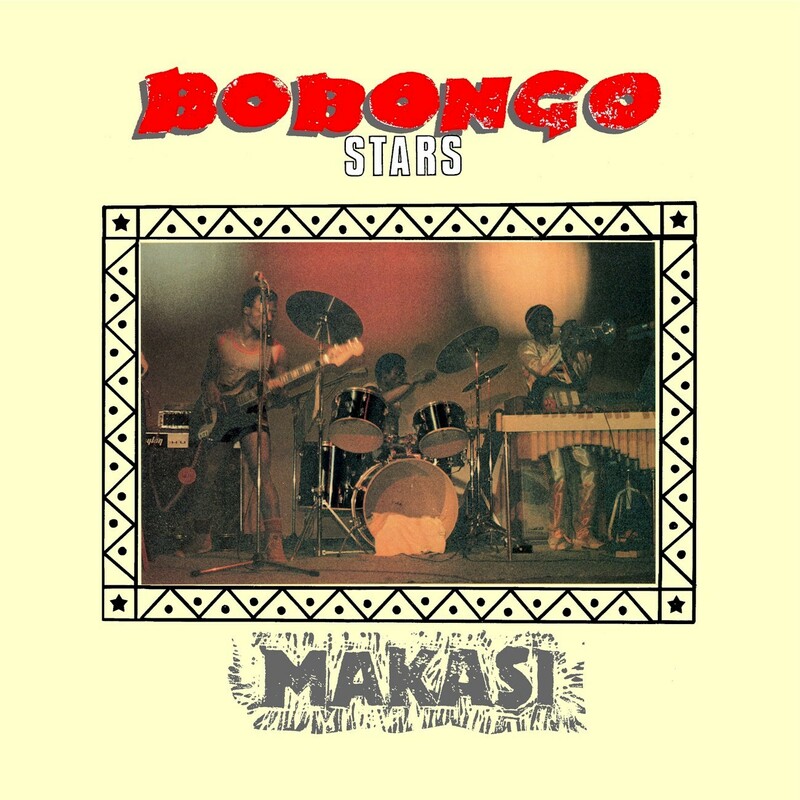 Some time ago I posted the Bobongo Stars album Makasi (Celluloid CEL 6627, 1983) over on Uchenna Ikonne's blog With Comb & Razor, and as it's since gone offline, I thought now was a propitious moment to make it available again.